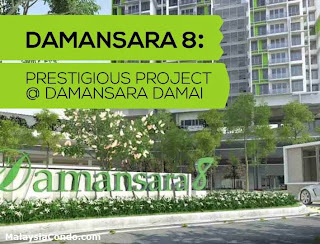 Damansara 8, is another prestigous project to be developed by Asian Pac Group. It is located at Damansara Damai, an established neighbourhood with existing residential and commercial properties. 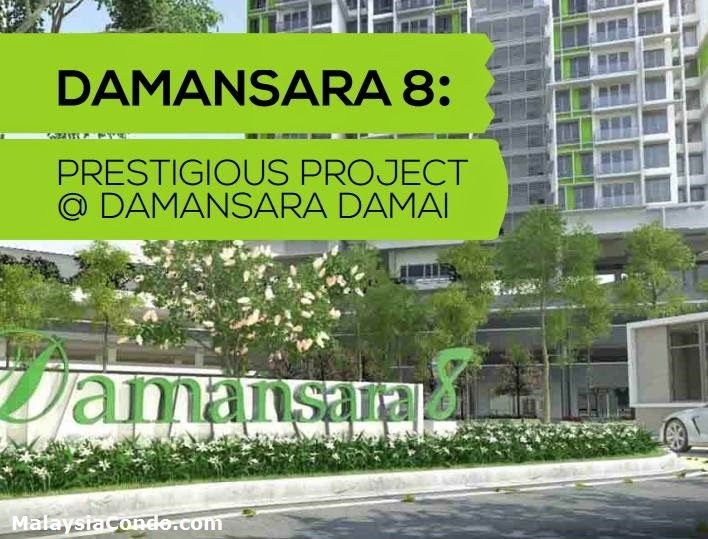 Damansara 8 is a mixed development, sprawled on a 6.5-acre of leasehold land. It consists of 2 blocks (Block A and Block B) of 605 units of residential condominium and 15 units of shop lots, located on the adjoining ground floor. Blocks A is 33-storey with 246 condo units and 4 units of 'Duplex' located on the 30th and 31st floor. Blocks B is 25-storey of 359 condo units. It has been meticulously designed to allow modern contemporary living with environmental-friendly features according to the green lifestyle, along with a Life & Wellness Deck to meet the needs of the modern family with extra emphasis on security. Damansara 8 is expected to be launched by 1st quarter 2015. Built-up Area : 622 sq.ft. - 3,940 sq.ft.